Cultural development initiatives taking place amid the resultant vector, compounds advance imposed by major social entities (developed countries) with great networked, clustered culture in the European area in the first quarter of the XXI century. Essentially, launched to challenge the study paper "corporate management of cultural systems", which means some kind of "new bureaucracy" but the spiritual background, creative, organizational and positive deviant behavior. The paper was presented at the international conference "Cultural Wealth Management" at the Romanian Academy, 11-12 June 2015, Bucharest, Conference stated in scientific events of POSDRU / 159 / 1.5 / S / 136 077 "Romanian Culture and European cultural models: research, timing, sustainability”. Resumed article for international dissemination shows that there is a need to develop new rules for the operation of management systems of national cultural wealth, not as an affront or resistance to the new wave of homogenization, but as a variation of aging, "conservation living", indigenous culture and cultural wealth to be distinct contribution to European culture. The history of elections in Nigeria at the presidential level has shown that incumbent presidents always have a political advantage over their challengers. However, history was made when the incumbent president Good luck Jonathan was defeated by the main opposition candidate, Mohammed Buhari in the 2015 presidential elections. In this article, I examine the determining factors in the political discourse that were responsible for the defeat of the incumbent president. Contrary to the insinuation in some quarters that the incumbent president was defeated due to ethnic gang up and the compromised of the electoral empire. I find from the political discourse that the high level of insecurity in the Northeast, institutionalized corruption in the incumbent president’s administration, united opposition alliance and the mismanagement of the Nigerian economy were the salient factors responsible for the defeat of an incumbent president in Nigeria. An interrogative study was mainly conducted to know about the level of participation in recreational activities among the doctors’ community of District Dera Ismail Khan. Aim of such study was to concentrate the attention of doctors’ community towards their participation in recreational activities as well as to improve their knowledge about the benefits of recreational activities in routine life. In this regard structured and pre-tested questionnaire was designed, which comprised of demographic, socio-economic and research objectives. The target population was the doctors’ community of District Dera Ismail khan. Statistical tool percentile was employed to find out the level of participation in recreational activities among the doctors’ community of District Dera Ismail khan. It was concluded that recreational activities significantly contribute to social life of doctors’ community in spending their leisure time in a fruitful manner. Today, ICT and its role in improving the environmental situation is an important issue in the environmental economy. ICT can have Different influences on the environment. In fact, ICT equipment caused reducing the need for environmental resources and damage to the environment. Therefore, this study tries to examine impacts of using ICT on environment in 13 MENA countries during 2005-2013 by using the panel data method. The results of the estimates indicate that using of ICT can improve environmental quality in the studied countries. This issue indicates a direct relationship between the use of ICT and the quality of the environment. Also, human capital and health expenditures have positive impacts on the environment. Corporate governance deals with holding the balance between economic and social goals and between individuals and company goals. The corporate governance framework is there to promote the efficient use of resources and accountability for the stewardship of these resources. Its aim is to align as nearly as possible to the interest of individuals, corporations and society. 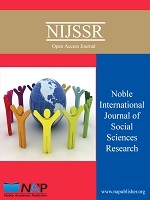 This study seeks to investigate whether governance research in fact is a discipline or whether it is rather the subject of multi-disciplinary research. We map the intellectual structure of corporate governance research and its evolution from 1985–2015. The following article is conducted on corporate governance. The author, by using bibliometric analyses on the representative data set (bibliographic records concerning scientific articles) taken from the global bibliographic database Business Source Complete (powered by EBSCOhost), reveals which countries and continents are characterized with the greatest and most valued achievements of scientific research over corporate governance. Firstly, the evolution of theoretical models of corporate governance is presented, which shows how wide and polymorphic research area the analyzed conception is. Furthermore, the basis of bibliometric analyses, which the author uses to realize the goal of the article, is outlined. The review of previously conducted bibliometric analyses of corporate governance has been also presented, and the lack of these concentrating on national and continental aspects is stressed. Then, the procedure of undertaken researches, according to which the author has carried out adequate analyses.